Cancer patients often find themselves in distracted state of mind—bombarded by contradictory, information, subjected to invasive, painful procedures, and not-always-compassionate medical care. When our minds are so grievously disturbed, we may find it impossible to make crucial decisions or relate satisfactorily to our family and friends. Practicing Pranayam, meditation and relaxation help in reliving tension. When the tension is released, energy can flow more easily in the body and allow patients to experience a sense of well-being and strength—a balance of body, mind, and spirit. A new research (ANI Sep 2, 2011) from the University of Texas MD Anderson Cancer Center, has indicated that for women with breast cancer undergoing radiation therapy,yoga offers unique benefits beyond fighting fatigue. The findings are the latest in an ongoing effort to scientifically validate the age-old belief that mind-body interventions have a beneficial impact on the health of cancer patients. The research was conducted in collaboration with India’s largest yoga research institution, Swami Vivekananda Yoga Anusandhana Samsthana in Bangalore, India. Not only has yoga proved helpful for breast cancer patients, it has also shown promise with other cancer treatments. In a 2004 study, Cohen used Tibetan yoga—healing system that incorporates gentle exercises, breathing techniques, and massage for reducing stress and balancing emotions—as the intervention method with women suffering from cancer of the lymphatic system. 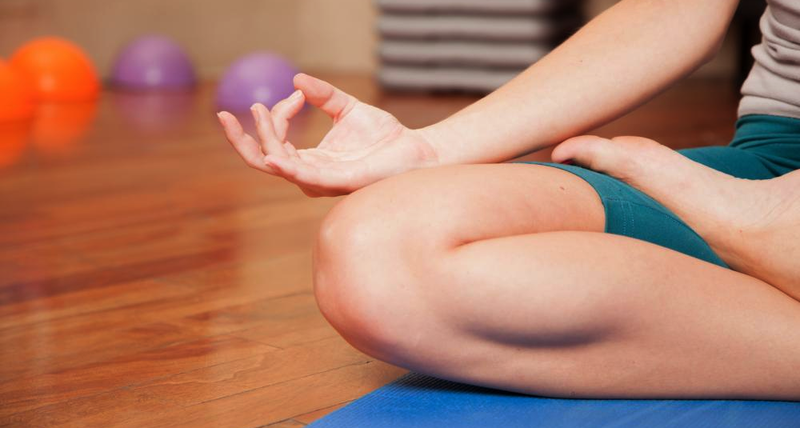 Researchers are also studying the impact of yoga on brain tumour patients. “I think yoga’s simplicity, accessibility, safety, low cost and, most importantly its effectiveness are propelling its use as a relaxation method for cancer patients,” says Nancy Schalk, director, therapeutic yoga programme for cancer patients at the IU Simon Cancer Center in the US. quality of life during cancer treatment, even in terminal cancers such as mesothelioma. If you or a loved one has mesothelioma, your questions about mesothelioma lawsuits can be answered here and could lead to some of the treatment being paid for. In some cases, it can even raise mesothelioma life expectancy. In addition to promoting healing, it can also minimize the stress and side effects of chemo and radiation. A gentle yoga practice during cancer treatment helps the body to process and alleviate toxins more efficiently, improves circulation, lowers pain levels and also reduces anxiety and depression. As we engage our physical selves in the precise body gestures of yoga, our minds come along, growing accustomed to focusing on the affairs of this moment and leaving worries and future-thinking behind. As we breathe and meditate, our minds grow more clear and steady. The physical benefits of yoga seem obvious to a cancer patient. Range of motion, flexibility,strength, relaxation, and a sense of bodily well-being are enhanced by practicing the postures. But there is an additional, more mystical, benefit of yoga. Depending on what parts of your body are affected, what type of cancer you have (or had), and your physical abilities, your practice will be specific to you. You may not be able to safely or comfortably do the posture the way the teacher or someone else is doing it. That’s okay. Modify or change the position so it feels good for you. You will find out what works for you, what you are able to do, and what helps you to move in a positive direction. When you are practicing a posture, do what you can without creating more pain. You may feel discomfort, but going to the point of sharp pain is not going to benefit you. Sometimes the postures are easier if you don’t try as hard – if you actually do less. Ask yourself if you can let go of something: it could be tension or holding in the body, or it could be an expectation or judgment you have about yourself. The term pranayama combines prana, breath, with yama, meaning extension or control, and describes a crucial practice in yoga. This “science of the breath” involves attention to inhalation, exhalation, and retention or holding. When we are frightened, we hold our breath or breathe shallowly or raggedly. 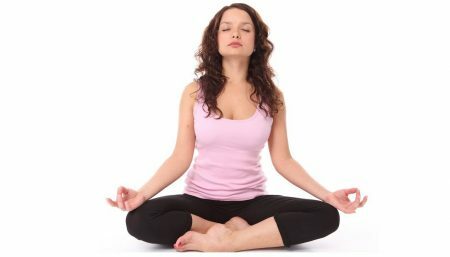 To open up the chest again, one can practice breathing techniques based on pranayama, such as abdominal breathing, deep breathing, bellows breathing (with forceful abdominal exhalations), and alternate-nostril breathing. (As breath practices can have powerful effects on the body, they should be learned from a qualified yoga instructor, for safety’s sake.) Done properly, they can dissolve stress and emotional excitation, freeing the mind from anxiety. With the practices of concentration, (Dharana) and meditation (Dhyana) which yoga affords us, a patient can focus and let go of nagging preoccupations. Asanas like the Child’s Pose might need to modified according to the patient. Asanas help to correct the vertebral column and they balance the muscular tone.